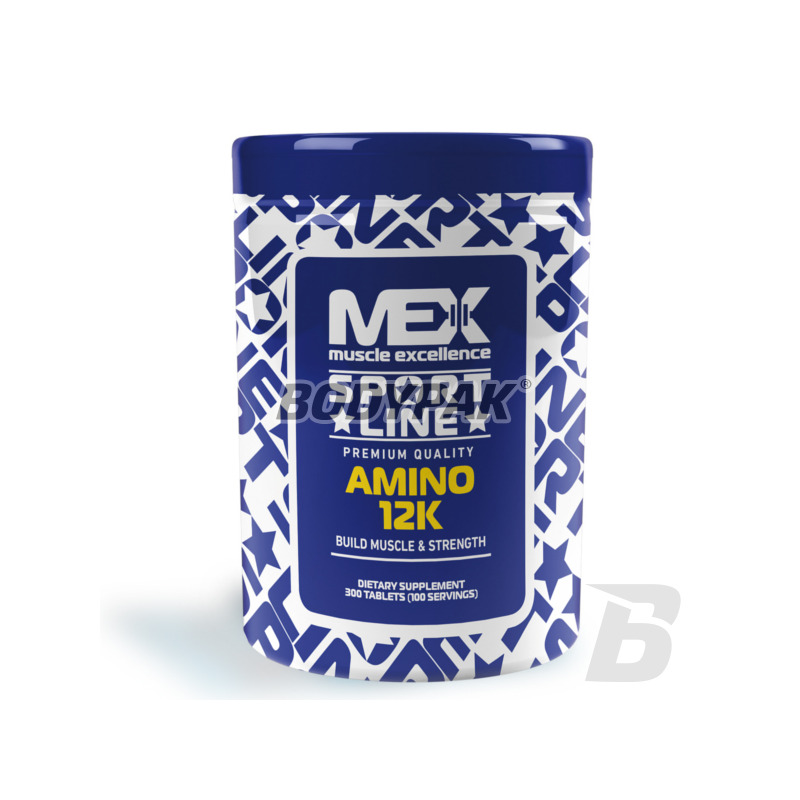 Amino AcidsMEX Amino 12K [Sport Line] - 300 tabl. MEX Amino 12K [Sport Line] - 300 tabl. 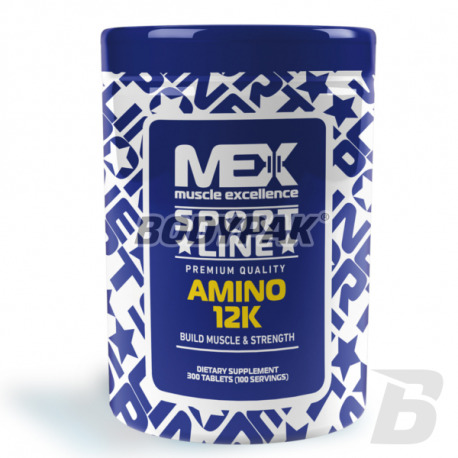 MEX Amino 12k is a product containing easily digestible amino acids. It accelerates the growth of muscle tissue, it helps maintain an adequate level of nitrogen compounds in the body. MEX Amino 12k is amino acid composition of the highest quality coming min. hydrolyzate of the whey protein hydrolyzate of beef. The optimum ratio of BCAA provides fast recovery after exercise and fat-free muscle mass. The product is recommended mainly in periods of increased demand for quickly digestible protein of high quality. It is the ideal solution for both people practicing sport professionally, as well as recreational, especially in strength sports, endurance and martial arts, as well as during periods of fat. Ingredients: hydrolyzed whey protein isolate, beef, hydrolyzed whey protein isolate, glutamine peptides, cellulose - bulking agent, vitamin B6 (pyridoxine hydrochloride), magnesium salts of fatty acids - anti-caking agent. Przy tym produkcie trzeba uzbroić się w cierpliwość. Nagroda przyjdzie po miesiącu. Ogólnie polecam. Jak dla mnie żadnej różnicy, czy to z tym produktem, czy bez niego. Zobaczymy jak będzie po jakiś czasie..